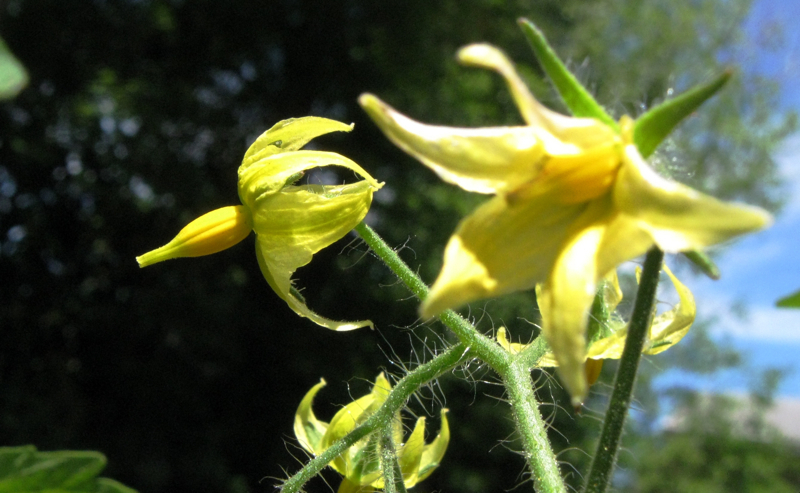 I find my camera focus has a mind of its own and my shaky hands add to it.. the yellow flowers are beautiful and so is that little tiny tomato. i did not know they came smaller than the cherry tomatoes. let us know how they taste. Oh you are off to an early and brilliant start with your tomatoes. As of today I have planted one, called Early Girl. I have for sure never heard of or seen these! When they are ready, I would love to see them in some kind of perspective to see the size. But now...how will you use them?? I can only think of salads. Yes, Let us know how they taste, too!!! Love the photos, love your enthusiasm, Linda! Great therapy! You are so right, gardening is therapeutic and I love it! We have blossoms, but no tomatoes yet. I'm eagerly awaiting. If all plants survive, I'll be up to my eyeballs in tomatoes this summer--and Ed will be helping me pressure can again. Can't wait!!! Well, I haven't had a stroke and focusing can be a challenge for me too. I can get side-tracked so easily. 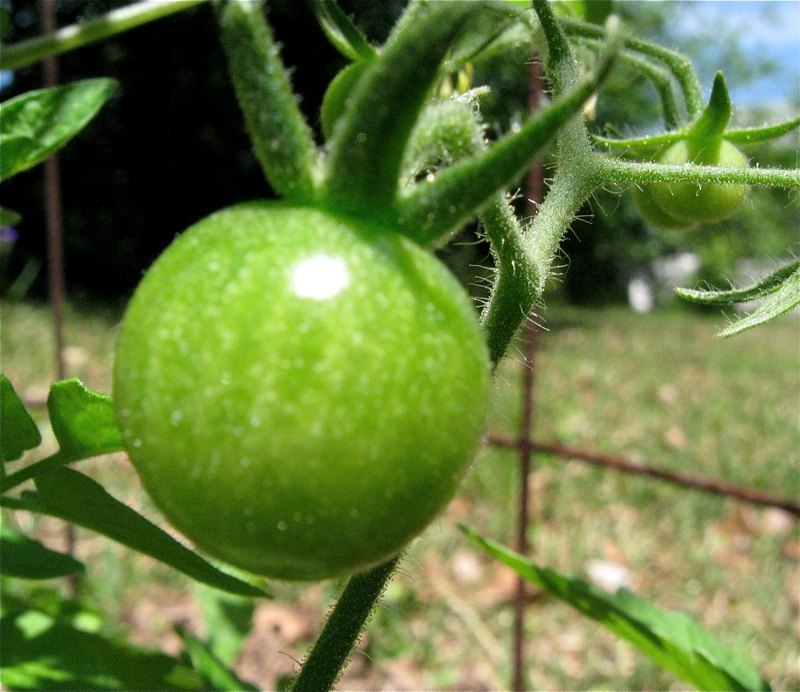 Love your little tomatoes. Hope they stay put so you can have a feast. Sometimes my auto focus setting on my camera makes a choice for me , like the background and not the plant I want. So frustrating. I deleted about 6 of m latest backyard shots because everything but the almonds was in focus. Have a great day and hope the weather cooperates so you can putter in the garden some more. You do a much better job focusing your camera than I do and I haven't had a stroke. I think I need to devote more time to practicing with my digital device. Mexico Midgets are a new tomato variety to me. Sounds interesting, so maybe I'll enjoy planting some seeds, too.